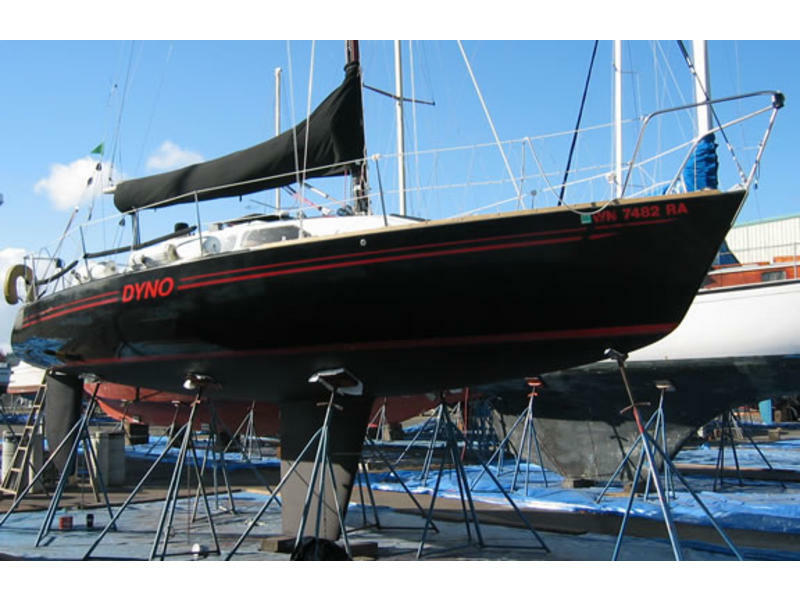 The ultimate affordable sportboat, sailing equivalant of a ’63 Corvette. 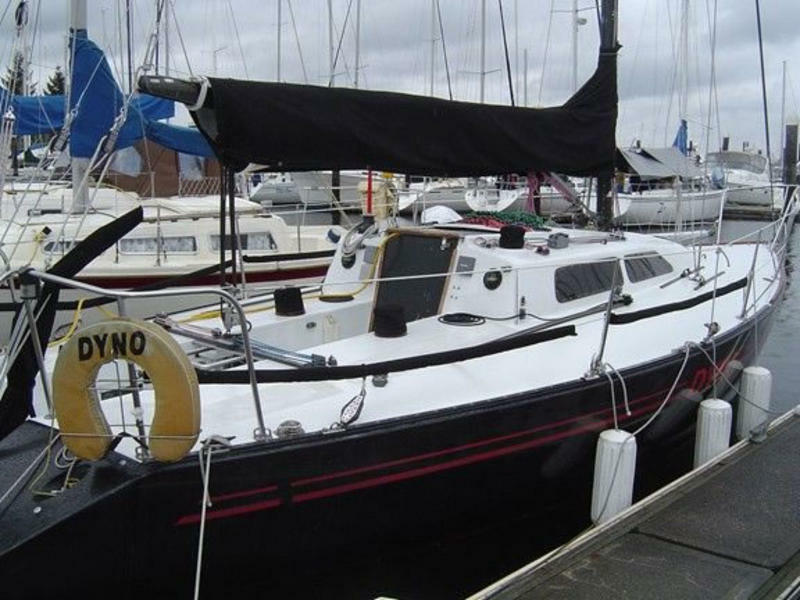 Mark Soverel’s most famous design, the Soverel 33 is an ideal PHRF (rated 93) race boat for her size and price. The Soverel 33 is easy and fun to sail with maximum performance on all points of sail. Capable of winning hanicap races against much bigger competion. The Soverel 33 is the forerunner to today’s modern sport boats, with her innovative open stern and high sail area to displacement ratio. A contempory, teak dressed interior includes two mid-ship, and two quarter berths, cabin heater, stove, marine head and more for surprisingly comfortable cruising. Many upgrades. 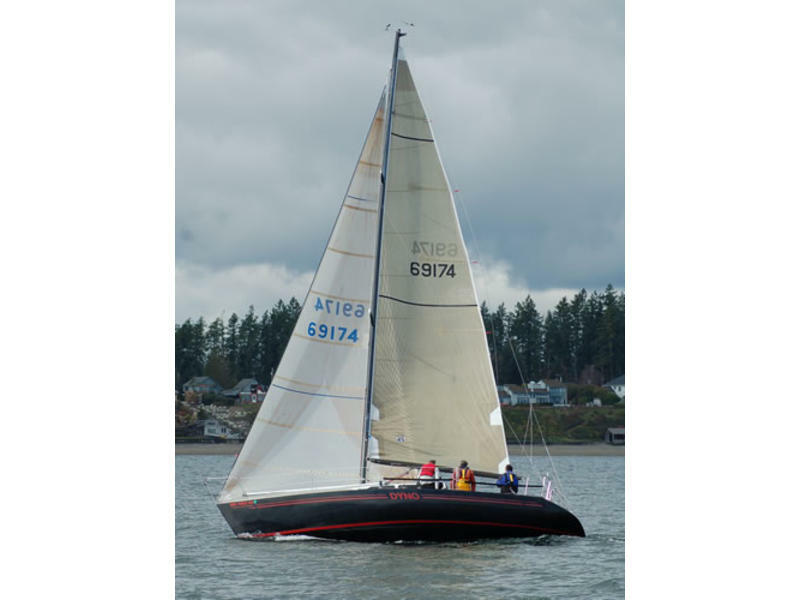 Newer main and .5 spinnaker, new #1, servicible 2, 3, 4, reaching spinnaker, .75 spinnaker. 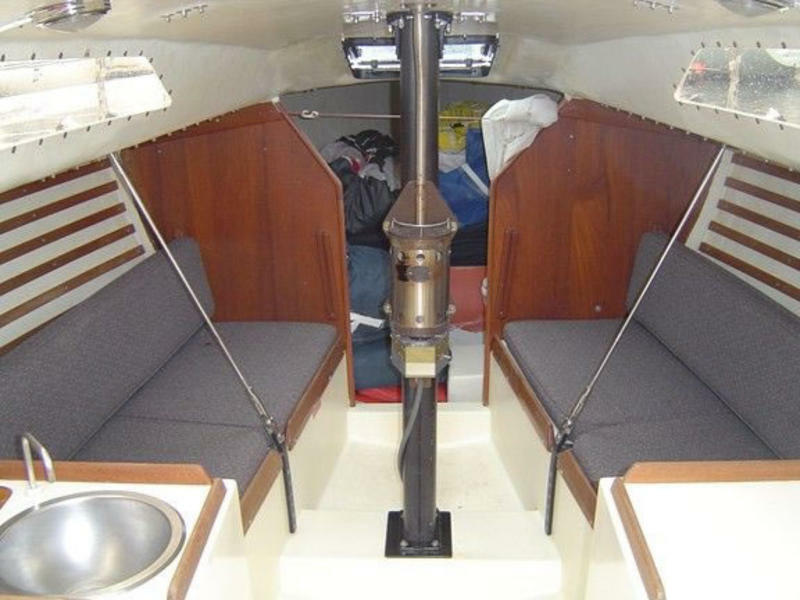 New rod rigging, good electronics, chartplotter, vhf, autohelm.